"My fashion icon is a cracked out real estate agent from the 80s; stuck there with a love of horseback riding and recently she's taken up chess." Rebecca is the singer of popular local band, My First Earthquake. I like how she jazzes up her black dress with a purple belt, that amazing chicken purse and pink socks/kicks. Also, with brightly dyed hair, sometimes wearing black is the best way to go. 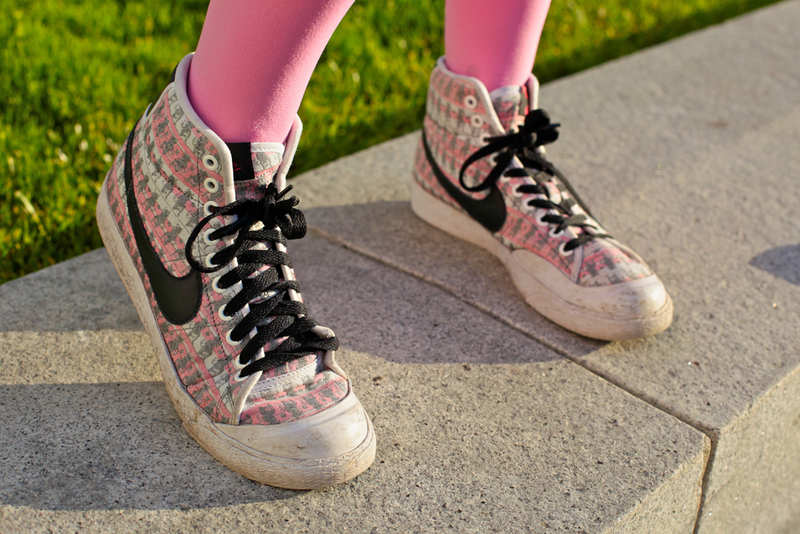 Amazing pink patterned low-tops that make me reconsider my ban on Nike footwear. See Rebecca perform with her band, My First Earthquake, this weekend. They play at Cafe Du Nord on Saturday, June 20th (that's tomorrow). It looks like they're headlining and the show starts at 9:30pm, $10 and a 21+ ID will get you in. Hmm, I've been said to look like a lot of folks, never a pro skateboarder. Maybe we are related...? 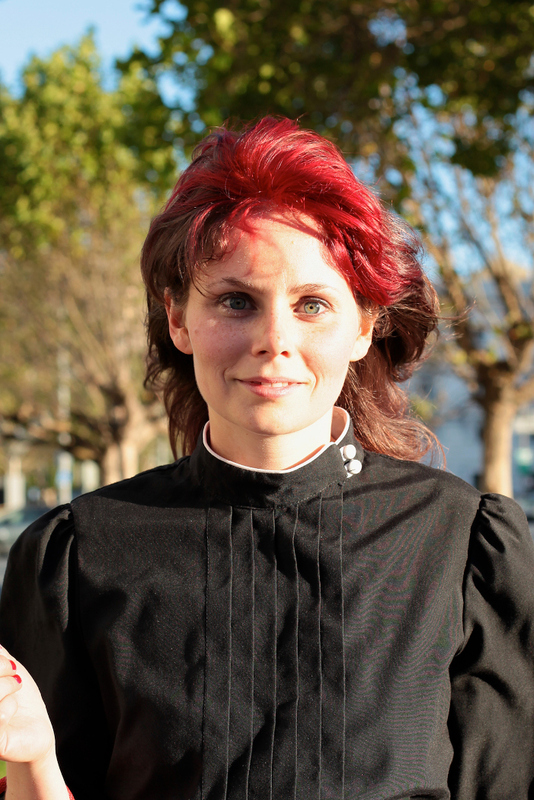 For the record: I think this is my most nun-like outfit. It's the eyes! Maybe you are related. He's from Grass Valley originally by the way. @melusine - I'm pretty sure those are Nike Dunks. But as for the exact model, either Rebecca will need to respond or you can do some searching?